Just as we have new chakras in our energy body system, so too does the planet. 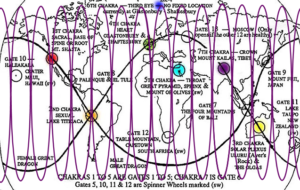 In a comment on the new and old chakras post, someone asked where these new chakras are located on Earth. It is a fabulous question, and one I had not yet thought to explore! Then, I worked with Spirit to locate each of new chakras on the planet. What was so interesting about the process was when it came time to place them on the map, I realized much of them were in a sequential order. That order was not apparent when bringing the locations through, and was a fabulous synchronicity of this identification process. 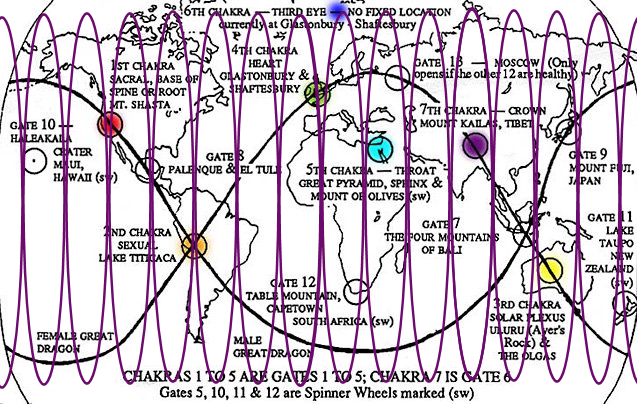 Each of these new chakras in centered in the area mentioned, and has a radius of 55 miles/88 kilometers. The circles placed on the map are not to scale in size. 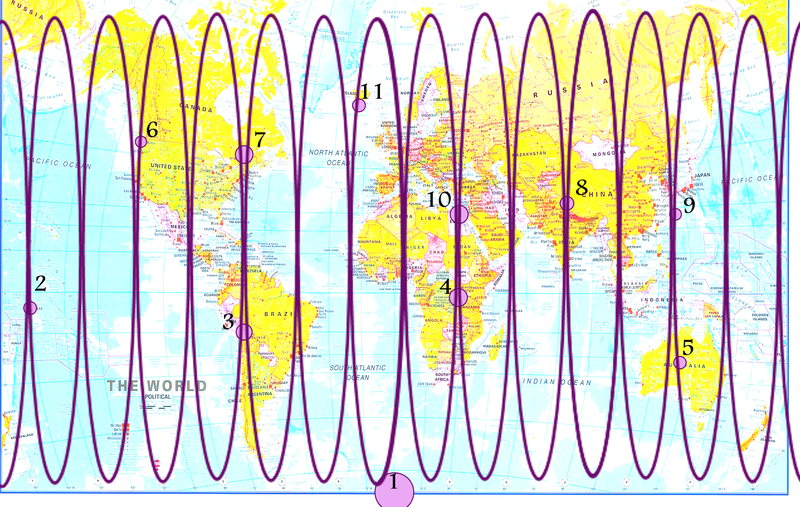 The numbers by each circle correspond to the following places for the planet’s new chakras. If you need to familiarize yourself with the new chakras, please read the Ascension Chakras – New and Old post. What about the lower throat and lower heart? Thank you for your question. These two chakras are only temporary in our bodies. The planet did not need the temporary chakras as we did, so the lower throat and lower heart are not listed because they are not needed.